Britannia no. 70000 at Orton Mere 23rd Febuary 2013. It was bitter cold day for a return visit to the Nene Valley for a locomotive that spent many years here. It was Febuary of course some showers of light snow at times that day, but never a lot just grey and cold. A day for being inside a warm train. 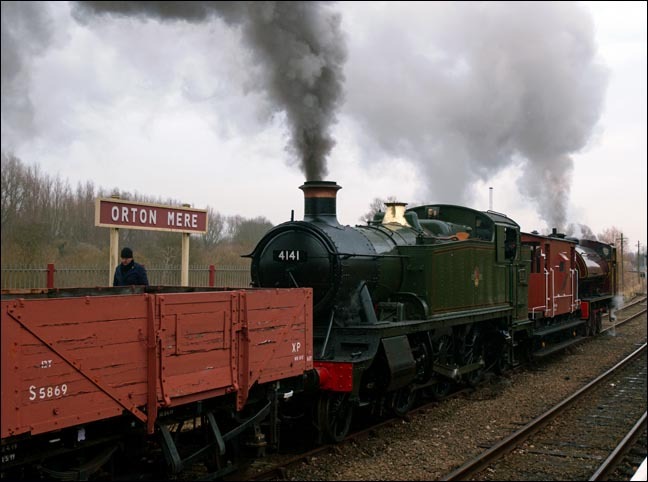 2-6-2T no.4141 was on a freight to Peterborough, to which 0-6-0ST no.28 had been added . This was so as no.28 could get to the NVRs Peterborough station to fill up with water. 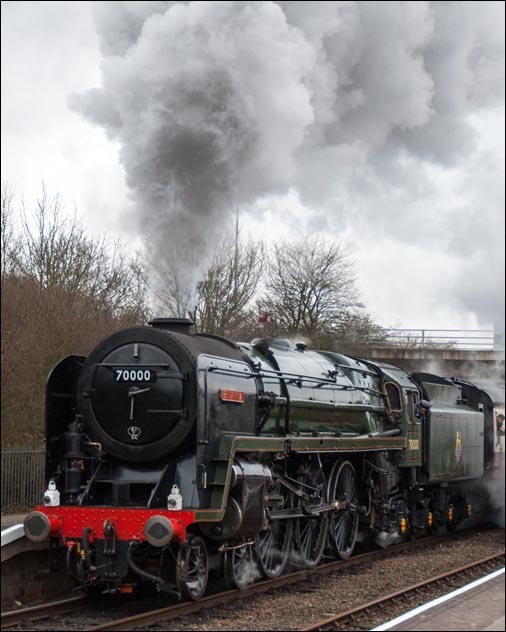 The Nene Valley Railway now (2014) runs from Peterborough to Wansford railway station and then on to Yarwell junction. 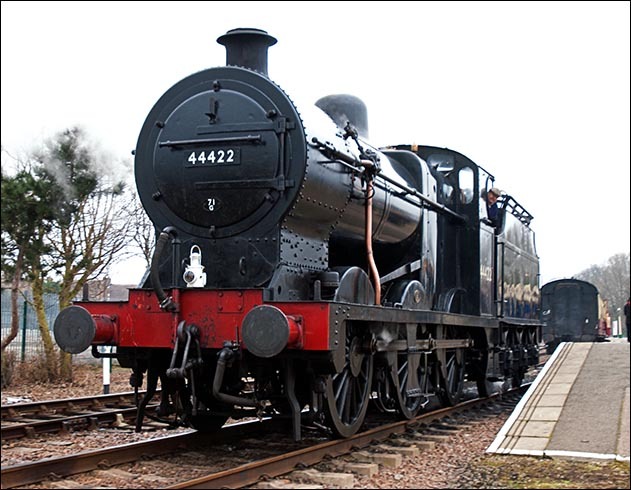 Wansford Station is on part of the old A1 at Stibbingson and is about 2 miles from the village of Wansford itself. The line is about 7 1/2 miles long. It now has the Fletton Branch which is about another mile and a bit. This website is Ukrailways1970tilltoday.me.uk it is a webe site on railways, but it is not just on trains, but all things railways, with photos, which I have taken from the 1970s till now. I take photos of all things railways, steam diesel and electric trains, and signal boxes any thing that is on the National Rail network, which was BR when I started taken photos ot heritage railways.